Displaying 12 of 19 items. Why the old timely favorite a Mothers-in-Law Tongue or, as known in the trade, a Sansevieria. Autograph Foliage features many of such! These replica leaves are so real looking it is difficult to tell by glance or by touch. Green with yellow markings, green with silver or all green, these plants have the Architectural shape so in vogue today. Why so they feel so real? Because Autograph dips each leaf in many layers of polymer, dries them between each polymer dipping and finishes them by hand with the proper markings. The leaves are individually wired to give them flexibility and shaping ability. Perfect for extreme low light, they work both as individual plants, in beds, or mixed with surrounding material. They even come in cylindrical foam pieces or with Inherently Fire Retardant (IFR) properties. Whether as a Modern touch, or as a shade of the Victorian Era, they make for a realistic replica plant for your interiorscape designs! 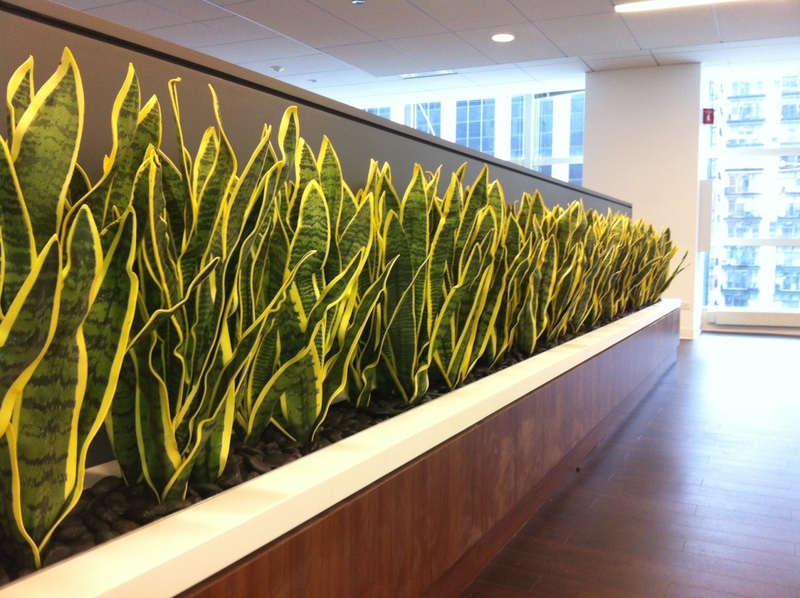 Sansevieria cacti and succulents come in 13 to 24 inches, 25 to 36 inches, 37 to 48 inches and up to 5 feet!